What do good cooking and good design have in common? Both rely on only a few simple ingredients to satisfy. 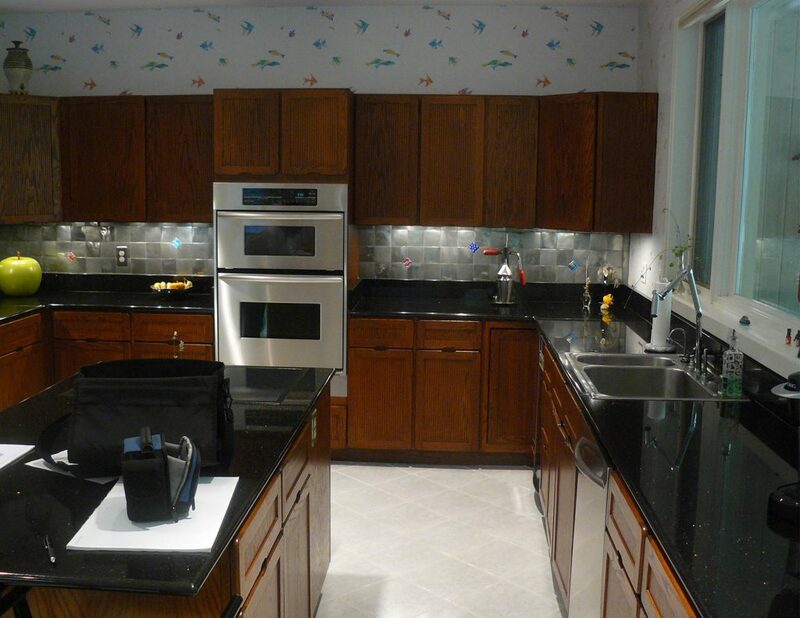 For these repeat clients, it was a modern mix of glass and lacquer that would whet their appetite. Critical to the design was a clear view to the home’s private outdoor space. The expansive aluminum and glass curtain wall nestles underneath a new support system, which carries the master suite and deck above. 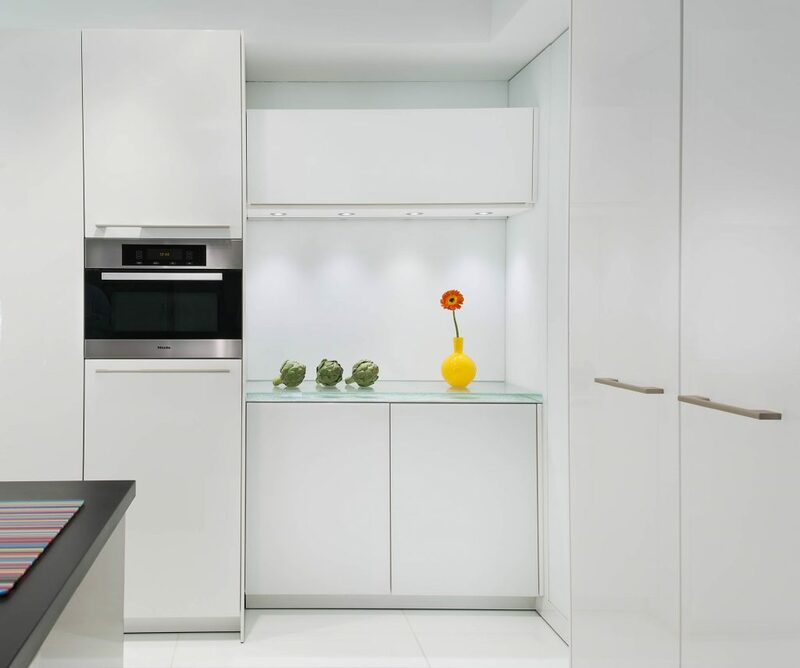 Silky gloss lacquer covers the kitchen’s towering white cabinets. 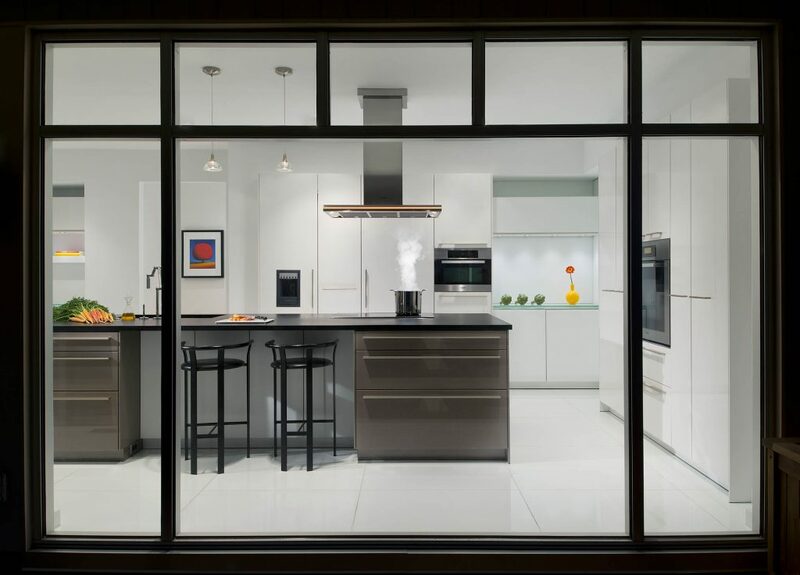 A tall pullout pantry and china storage flank each side of the integrated stainless wall oven. 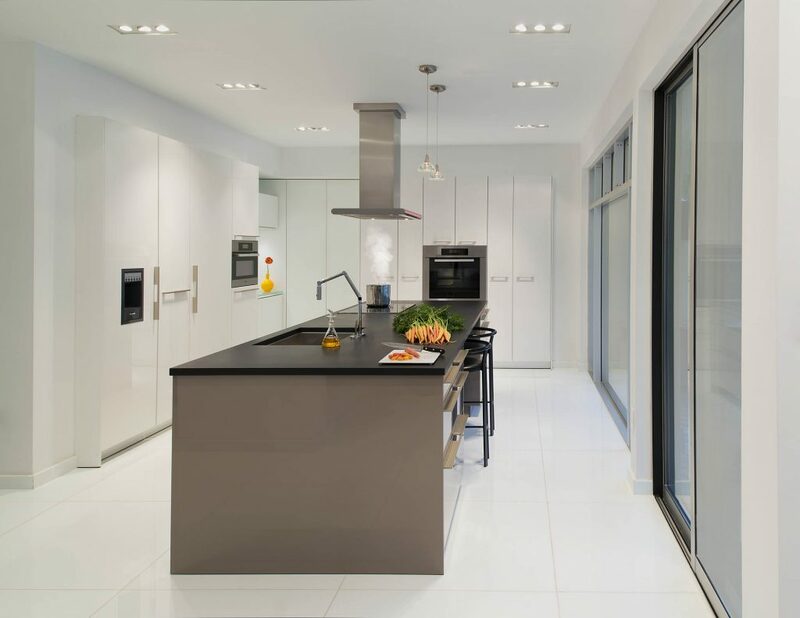 To the left, milky matte glass cabinet doors conceal shallow storage. Underfoot lies a white glass floor. The tiles, measuring 3 feet square, required a calculated new floor system to support the extra weight and protect the stability of the new glass. Water-jetted radius cuts also helped prevent the tiles from cracking under stress. 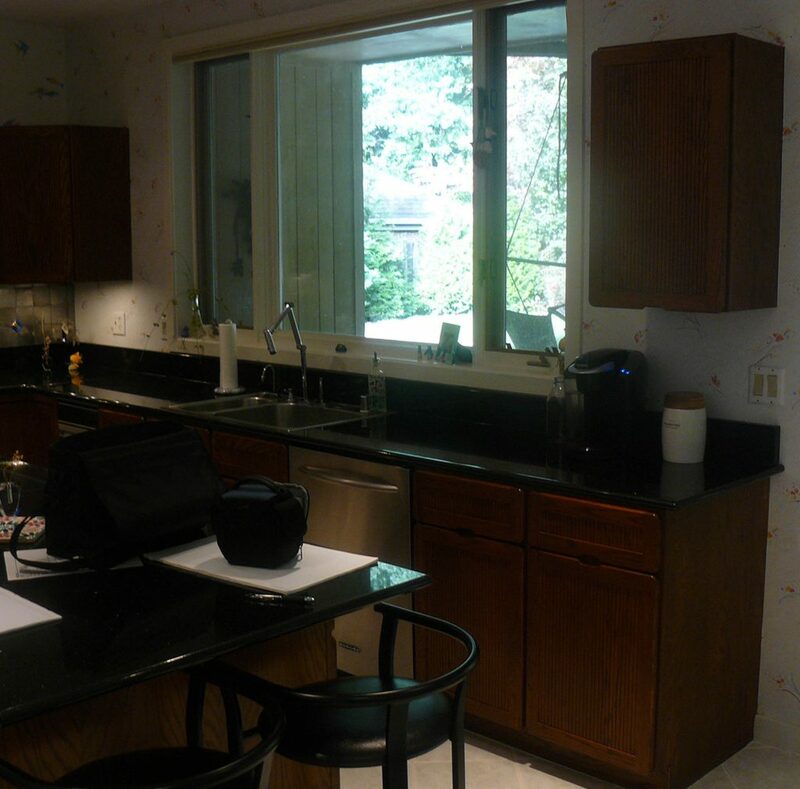 Along the other wall, matching white lacquer cabinets surround separate fridge and freezer columns, a microwave speed oven, and more dry good storage. The island—in contrasting agate gray lacquer—creates the ideal workspace with dishwasher, sink, and cooktop. Drawers serve up ample storage below without crowding diners. 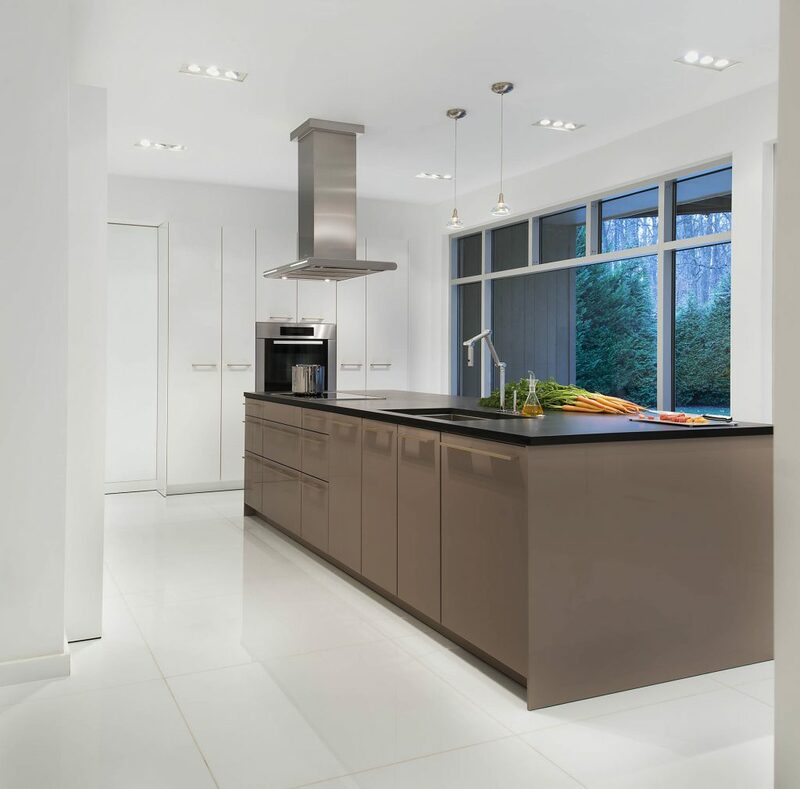 A sleek exhaust hood hangs above while two modest pendants light the island’s eco-smart black countertop. Where the two walls meet, glass tickles the palate. 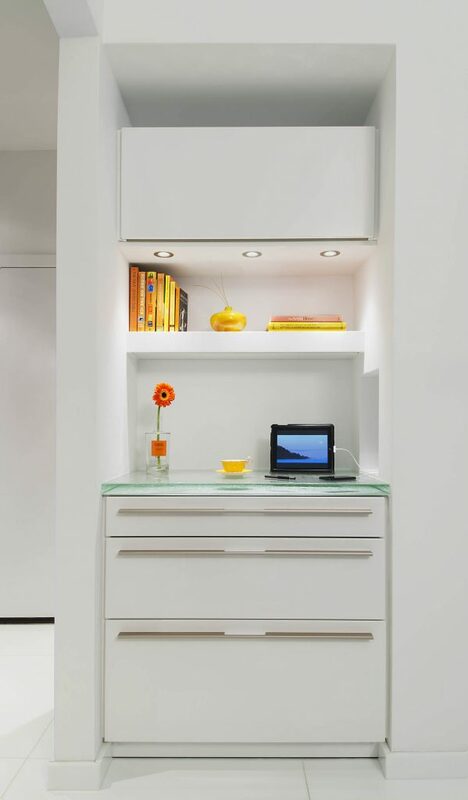 A recessed storage niche features milky matte glass walls and cabinets with a see-through glass countertop. The communication niche—to the left of the entry—echoes the storage niche design but with shiny lacquer cabinets. 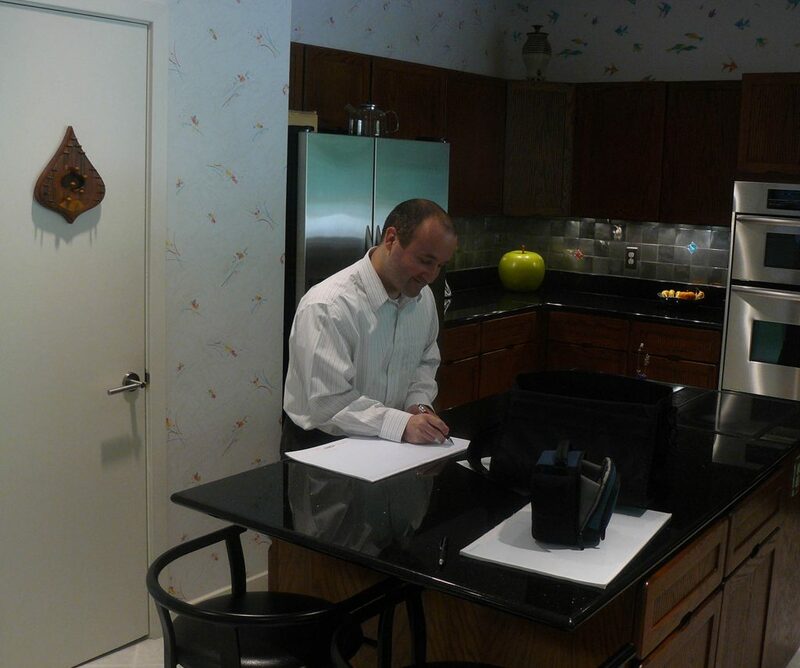 Here, the owners can easily access recipes online, while charging their electronic devices in a convenient recessed charging station. 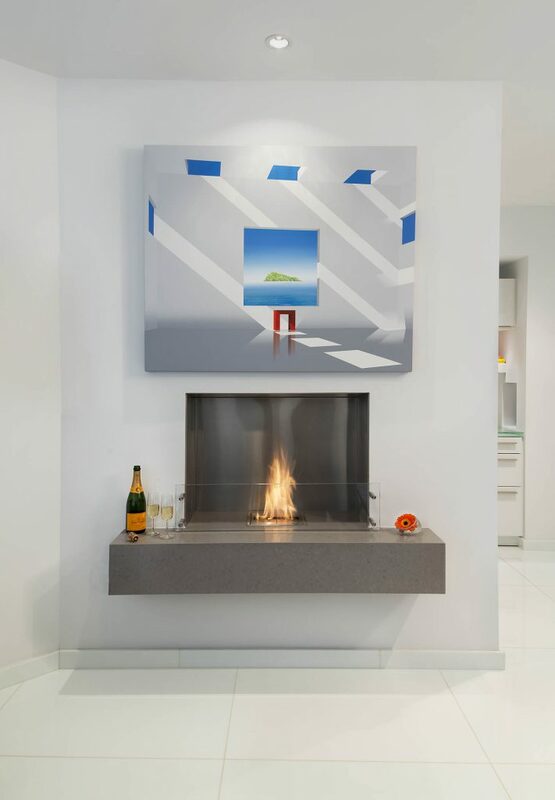 The kitchen’s glass floor extends into the adjacent breakfast room, where the homeowners enjoy a biofuel fireplace with a chunky engineered stone hearth. Featured in NKBA Magazine, Heart of Glass, May/June 2017, Bethesda Magazine, Spins on a Classic, Sept/Oct 2015, and Home & Design, Cream of the Crop, May/June 2014.